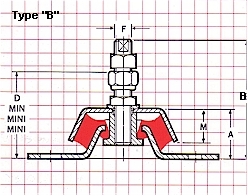 To help properly identify your engine mount, use your measurements for the lettered dimensions shown in the diagrams to select the reference number in the charts below. Please use that reference number when contacting us. 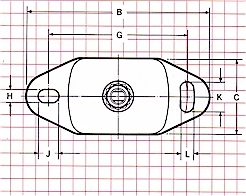 Email your inquiry regarding Engine Mounts to tadinc@earthlink.net Please use that reference number you obtained from the charts above when contacting us.